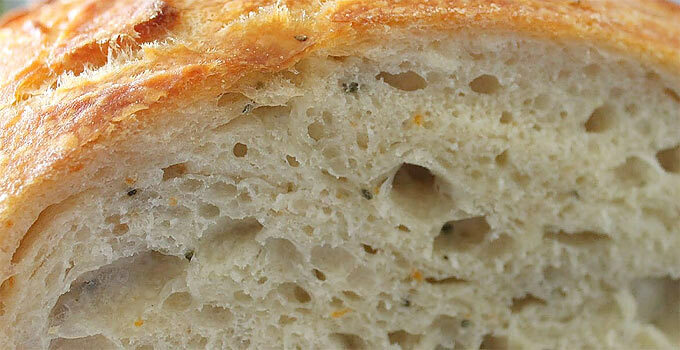 Here’s how to make a good sourdough starter from scratch and how to keep it alive (feeding it). No added yeast. Sourdough bread baking instructions. 3 tablespoons whole rye or wheat flour. Stir to mix and let it sit out, loosely covered, for 24 hours. Then take (1/4 cup) of the sourdough starter, discarding the rest, and mix it with (1/4 cup) of water and (3/8 cup) of flour. Repeat this process every 12 hours for 4 to 6 days. By the time it’s obviously alive (slightly bubbly and smelling distinctly acidic) you’ll have succeeded in creating a levain. You can jump straight to baking (from room temperature) in the section below with this the new starter or store in the refrigerator until you’re ready to bake. Mix (3/8 cup) flour, (1/4 cup) warm water, (1/8 cup) starter in a small bowl. Let sit at room temperature (~70 degrees F) for 12 to 14 hours. Take (1 tablespoon) of the starter, which will have begun to get lively, and mix it with (1/2 cup) flour and (1/4 cup) water. Let it sit for 12 to 14 more hours. Now you’ll have just enough lively sourdough starter for a loaf (a little more than a half cup) plus a bit left over to begin the next batch of starter. Now, get that next sourdough starter batch going: Scoop out about (1/8 cup) of the starter, and add (1 1/3 tablespoons) of flour and (1 1/3 tablespoons) of water. Mix it, and let sit for 3 hours at room temperature. Then store in the fridge, covered tightly. Keep it alive by baking every week; or feed it once a week by scooping out (1/8 cup) of starter (discarding the rest), and mixing with (1 1/3 tablespoons) of flour and (1 1/3 tablespoons) of water, as above. This is known as the autolyse step. Mix the starter and water together in a large bowl or plastic bread-making tub. Add the flour, and mix well. Let sit 20 to 40 minutes. Mix dough by hand, squeezing and folding it to develop gluten. Let it rest, covered, for 3 hours, periodically folding as above (3 to 4 times). 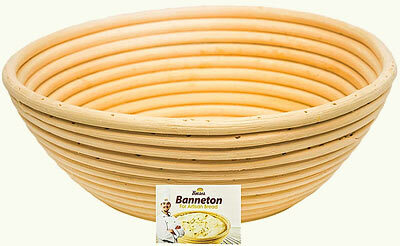 Shape the dough into a round by gently folding it over on itself, leaving a smooth, round top and a seamed bottom. This is known as a boule. Let it rest, covered, 20 minutes. Very gently place the boule, seam side up, into a floured proofing basket for 1.5 to 2 hours. If you do not have a proofing basket, you can take a linen (or fine mesh cotton, but linen is best) cloth, rub plenty of flour into it and place it in a small mixing bowl. Make sure there is ample flour covering all surfaces that the dough will touch, and also be sure that the bowl is deep enough to really shore up the sides of the boule. About an hour into the proof, preheat the oven to 500 degrees and put the empty Dutch oven, with cover, into the oven, so that it will become blazing hot. Very carefully, drop the boule into the hot Dutch oven, seam side down. Make a few incisions along the top membrane about 1/4 inch into the dough’s surface, to help with the loaf expansion. I use a straight razor, a serrated knife works too. Bake approximately 30 minutes, then remove the lid of the Dutch oven and bake until the boule is a deep brown (10 to 15 minutes more). You can insert an instant-read thermometer into the loaf—when done, it will be within a few degrees of 212 F.
Let cool on a metal rack—at least one hour; 4-6 hours is optimal to let the loaf develop flavor. The starter keeps well in the fridge, feed it once a week or so by scooping out (1/8 cup) of starter (discarding the rest), and mixing with (1 1/3 tablespoons) of flour and (1 1/3 tablespoons) of water. I make this whole wheat fresh ground. It is heavy. You can lighten it up some with store bought white flour. If you give it a nice warm place to rise and some time, whole wheat is fine. 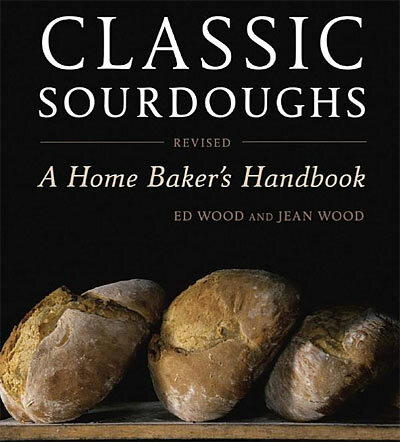 There’s lot’s of ways to make sourdough. This one works and is pretty good. The source of this sourdough starter recipe and instructions came from a MSB reader awhile ago. Thought I would format it and put it out there for your benefit. I find that preparing food takes away the winter blah’s, Mrs. Chevy does the baking, but maybe I should try this. I prefer making sausage, fermenting this time of year. Or make your own starter–apple peels work. Just drop the apple peels in water and wait until you smell yeast (probably a couple days) then add your flour to the water. The salt will inhibit the growth of the yeast and lactobacillus that are in your starter so it’s best to add it as late as you can in the mixing/kneading routine. When I do my loaves I use a slightly different protocol from what’s outlined here by mixing the flour and water first and allowing them to autolyze for 30 minutes before adding the starter. I follow that with mixing in the starter and kneading for several minutes then sprinkling the salt on the dough and allowing it to rest for 10 minutes before kneading in the salt and continuing to knead for several more minutes. Thanks Ken, I love sour dough bread. So you are reading my mind? A hidden microphone? About 1 1/2 weeks ago I decided to reactivate my 7-8 yr old sourdough sitting in the back of the frig. It didn’t do anything so I put it all in a large plastic container, which held salted peanuts, in preparation of tossing it. I left it with the lid on, on top of the dryer and was going to add grease etc, that I was going to throw out. In the meantime I started one from scratch using King Arthur website directions. I went to throw something into the old plastic container and there was a mix of 3 different old sourdoughs just bubbling away with the red peanut husks happily floating around. It had quadrupled in size and was growing like the blob. I took some out and put it in glass and fed it and now I have 2 containers tripling everyday and a new one starting to double! Anyone need sourdough starter? Wow, 8 year old vintage! …like a fine wine? Thank you for the article. One of the things I promised myself to try this year was to get a sourdough starter going and conquer sourdough bread baking. I already bake bread but for some reason always felt intimidated by sourdough. I’m going to try the apple peel in the starter for the first day and then one without. It is a learning process for me so please keep your fingers crossed for me that I can get this to work.